A model of what California may face because of drought is already happening in Sao Paulo, Brazil, one of the largest cities in the world. The reservoirs dropped to only 5%. 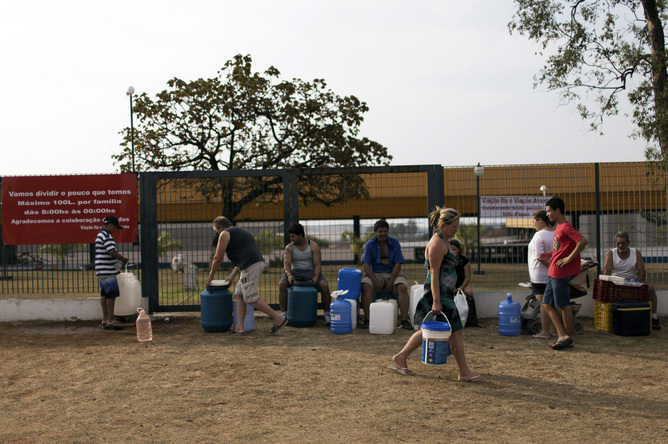 Rationing is expected, with households cut off from water a few days each week. Some people have taken to drilling wells in their basement, a decidedly drastic measure. Disease has already broken out. The existence of cities with millions of people requires water, and if the water goes away, so must the people, leaving the city behind. Not sustainable.